as evidenced in Father Lu Genjun's "Reform Through Labor" Decision Statement. 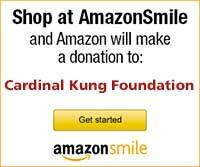 Stamford, Connecticut, U.S.A. - On April 22, the Cardinal Kung Foundation announced the arrest of Father LU Genjun before Easter and his immediate sentence to three years of labor camp. The Foundation has now received a copy of the Decision Statement dated April 13, 2001, Good Friday, issued by the Reform Through Labor Management Committee of the Baoding city government in Hebei Province sentencing Father Lu to three years of labor camp. 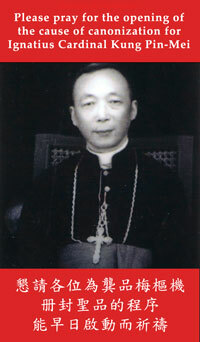 The statement clearly listed Father LU Genjun's "crime" as his 1) receiving theology training, 2) being ordained a Roman Catholic priest not recognized by the Hebei Patriotic Association Catholic Administration committee, 3) refusing to recognize the Patriotic Association, thereby refusing to join the Patriotic Association which is the body created by the Communist regime in 1957 in an attempt to replace the Roman Catholic Church, and 4) conducting evangelization activities which includes celebrating Holy Mass and preaching the Gospel. The translated English text is attached with this press release. In addition, Bishop Mattias Pei, 83, underground bishop of Beijing, was also arrested in early April according to the FIDES agency. No other details are known. Mr. Joseph Kung, president of the Cardinal Kung Foundation, noted: "This announcement, coming directly from the Communist Beijing regime, makes official and abundantly clear that people who refuse to join the government-established Patriotic Association and who persist in worshiping in accordance with their conscience are now punishable to three years of labor camp. It is outrageous! It proves that freedom of religion is totally lacking in China. China's so called 'freedom of religious belief' is undeniably a sham, and actually means that religious 'freedom' is available only to those who worship in accordance with the choice of the government and who join the Patriotic Association. Inasmuch as there are still about 40 days to appeal for Father Lu's sentence, I appeal all freedom loving people around the world and their government representatives to appeal directly to President Jiang Chi-Ming of China to give the genuine religious freedom to all Chinese people by releasing all those religious prisoners including Father LU because of their refusal to recognize the Patriotic Association."